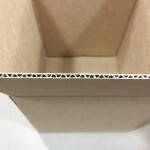 Valley Container is the manufacturer of our corrugated boxes. They have a 110,000 square foot facility located in Bridgeport, Connecticut. They offer corrugated in all variations. They have honeycell, partitions, displays, shipping containers and specialty flutes. 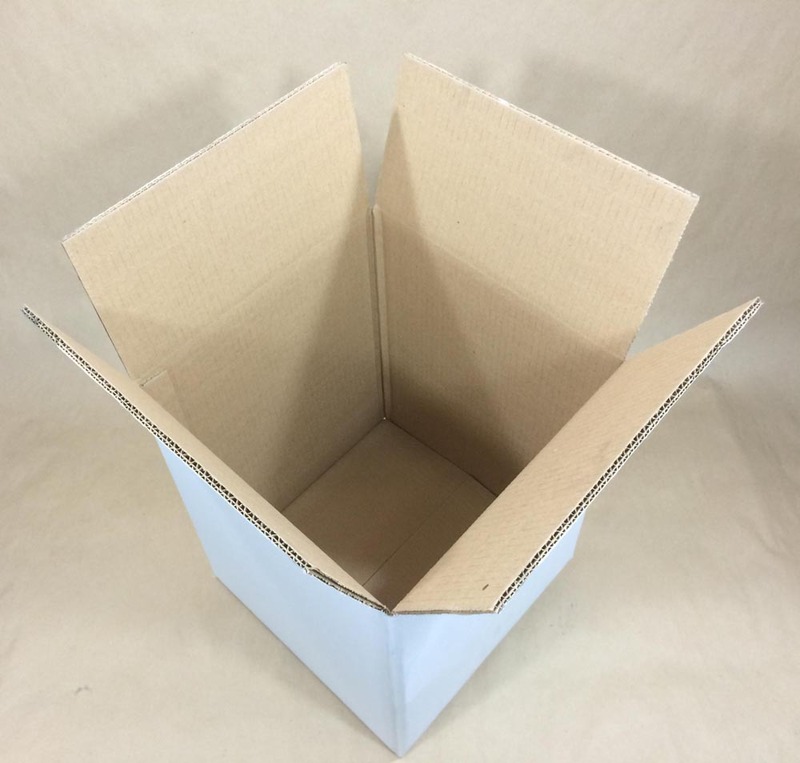 We carry a large selection of Valley Container boxes, however, if you need something special, please call us. We would love to offer a quote for what you need. 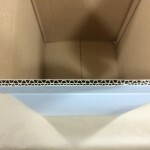 Depending upon the size of the box, there may be a low minimum quantity to get that custom box you require. 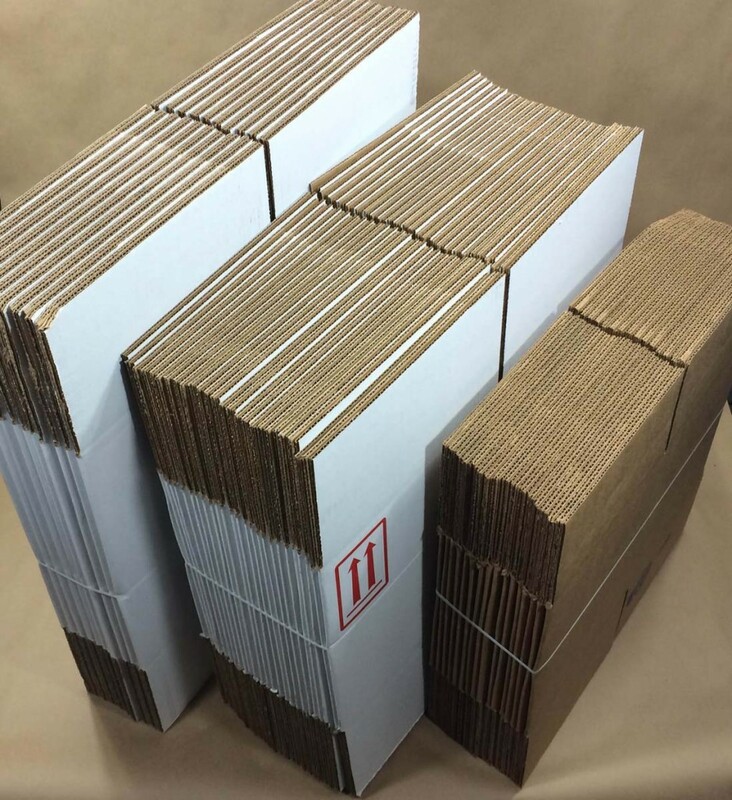 With corrugated, there are varying thicknesses such as single wall, double wall etc.. There are also different flute types such A, B, C, E and F. These different factors will determine how durable your carton will be. There are also two tests in the corrugated industry that determine strength. One is bursting strength which is reported in pounds. The second test is the Edge Crush Test ECT. It is measured in pounds per lineal inch of load bearing edge. 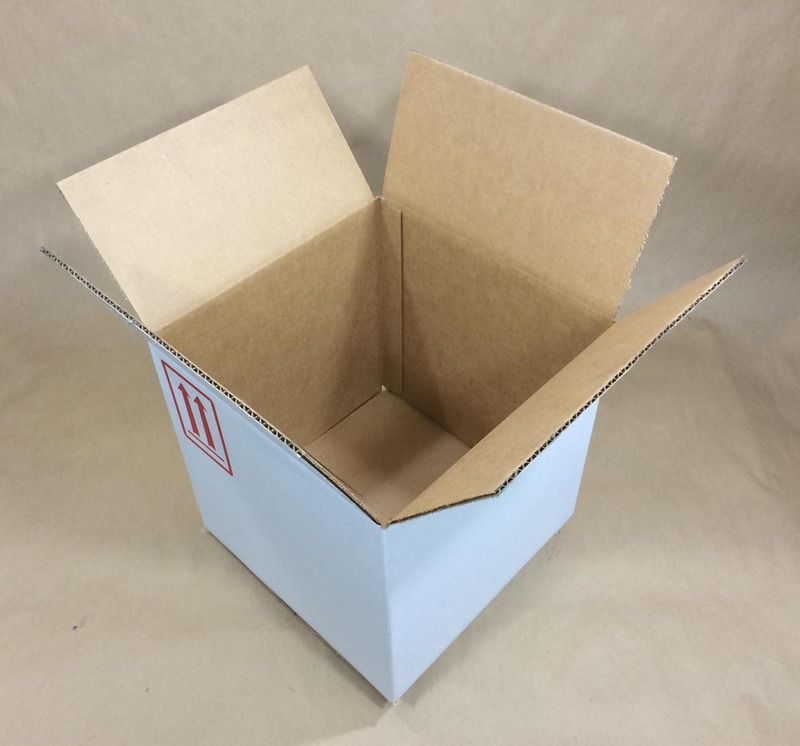 This performance test is related to the stacking strength of a carton. The ECT test measures the edgewise compressive strength of the corrugated and is reported as 32 ECT or 44 ECT etc. Arches between the corrugated medium are known as flutes. When flutes are anchored to the linerboard with a starch-based adhesive, they resist bending and pressure. They also serve as an insulator, providing some product protection from sudden temperature changes. Some examples of flutes are shown in the pictures below. These boxes have a 200 lb. bursting test strength and a C Flute. These boxes have a 275 lb. bursting test strength and a C flute. These double wall boxes have a 275 lb. bursting test strength. These double wall boxes have a 350 lb. bursting test strength.